TALES OF TIME (Ahmed Yusuf) is a short play about an uncle who has raised his second generation Somali-American niece. Now that she is an adult who is about to face the world, he is wrestling with whether to share an unforgiving past. 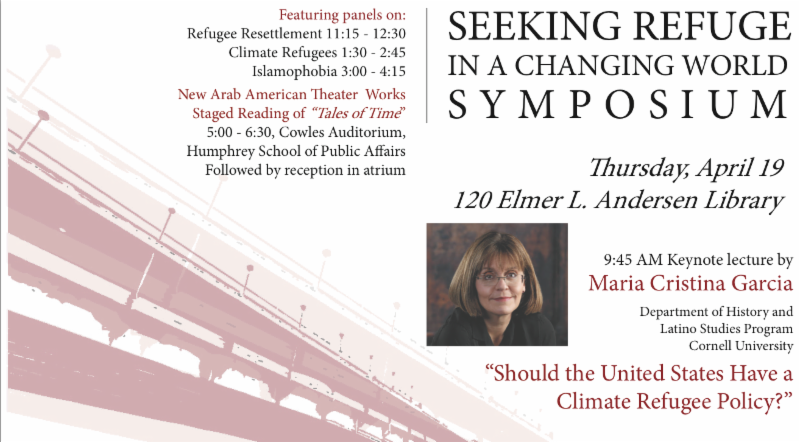 The Seeking Refuge in a Changing World symposium is organized by the Institute for Global Studies, African Studies Initiative, Center for Austrian Studies, Center for German and European Studies, Center for Holocaust and Genocide Studies, Human Rights Program, and the Immigration History Research Center.